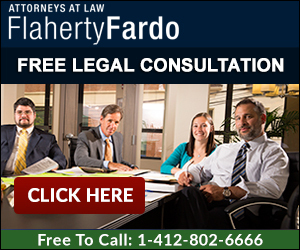 How to Determine the Value of Personal Injury Lawsuits in Pennsylvania. To value personal injury lawsuits in Pennsylvania, you must first understand how to calculate damages. It is not enough to say that you were involved in an accident, or that a doctor committed an error. In Pennsylvania injury law, you need to prove (1) liability, (2) causation and most importantly (3) damages. Here are the three things that you need to know about Pennsylvania damages. These are your defined boarded damages. The more damages you can board, the higher overall value of your case. If you are unable to board damages, then you may be limited to only the pain and suffering of your injuries. The jury is asked to award an amount of fair compensation. But you are not allowed to say “my pain is worth $(blank)”. This is different than many people expect, and can create questions about what this pain and suffering is actually worth. The answer as to what pain and suffering is worth is unique to every single case. Likable plaintiffs typically receive more money than disgruntled plaintiffs, even with the same injuries. In addition, everyone’s definition of money is unique, and verdicts in Philadelphia or New York are consistently higher than similar verdicts in Pittsburgh, Allegheny County or western Pennsylvania. Testimony relating to an individual’s pain and suffering if often more well received when the testimony is told from family members and/or friends rather than from the plaintiff’s own mouth. It is even better if it is established through testimony from a treating physician. This helps avoid a situation where the plaintiff looks like someone who complains. Regardless, in order to maximize recovery, there should be strong credible testimony from other people of what the injured individual(s) has and will endure in the form of pain and suffering. Being unrealistic in Pennsylvania personal injury lawsuits can cause more harm than good. The first inquiry is always, “what am I able to board?”. If you are not able to board high medical bills, or significant lost earnings, then you need to really focus on establishing the pain and suffering of your case. Insurance companies seem more willing to litigate cases where the plaintiff is only complaining of pain and suffering, as opposed to higher boarded damages. Allegheny County, Pennsylvania, has had numerous verdicts whereby juries have awarded $1.00 for pain and suffering. Most often, these cases have been rear end collisions, whereby the injured driver claimed soft-tissue damages, such as whiplash. In many of these cases, various medical conditions existed prior to the accident. These cases are typically unable to board significant damages, and instead were relying solely on pain and suffering. Thus, you need to be realistic in evaluating your case. So How Much Is My Case Worth? The answer is, it depends. How much are your boarded damages? How much pain and suffering did you endure? and/or reduction in the likelihood of marriage? Answering the above questions will help you to better determine how much your personal injury case is worth. The hardest part of valuing cases is of course the pain and suffering elements. How do value a lost leg or a life? Experienced lawyers are able to tell clients what similar cases have settled for or what juries have awarded other similar plaintiffs. But as each plaintiff and jury are unique, no one can value an injury with absolute certainty. However, experienced lawyers can help guide clients towards a settlement or trial that they believe will yield the greatest return for the client. That is what we, Flaherty Fardo, believe we have to offer. If you have been injured, and need more information, or have questions about the monetary value of your case, please contact attorney Noah Paul Fardo, Esq. directly at 412.802.7080 or email us for a free consultation.